Note: The XT60 connector changed to XT30. Dalprop T3056C prop changed to Gemfan 3052, Tower was changed to Flycolor F4+20A ESC Tower. ARRIS X140 140mm mini fpv racing drone is specially designed for 3" propellers. 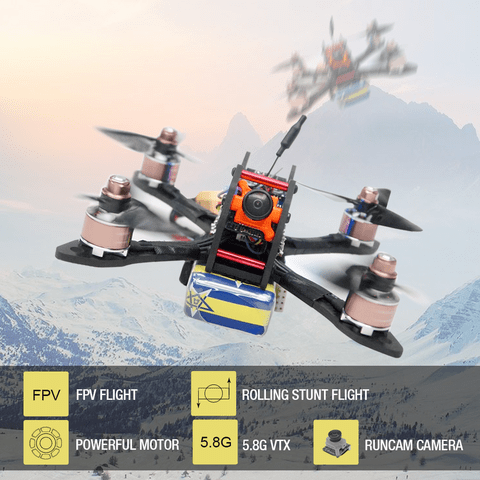 It comes with ARRIS X1407 3700KV brushless motor, Omnibus F4 flight controller with 20A 4IN2 BLHELI-S ESC,Dalprop T3056C propeller, Runcam micro swift mini camera, 48CH mini switchable video tx with antenna. The main feature of this quad is light weight, small size, strong power, super agile,as fast as lightening.